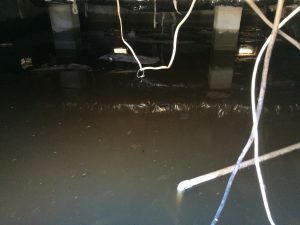 Flooding can cause extensive damage in your basement and destroy a considerable part of the usable space in your home. Whether you use your basement for storage or living space, we understand how life-changing it can be to lose that space to a flood. As a full service basement restoration and waterproofing company, Virginia Basement has everything it takes to get your basement and your home back to top-quality condition. Water damage restoration is an important part of getting your home back into shape after a flood, broken water main, or other home emergency. We understand how important your home is to you, and we work hard to deliver quality, long-lasting water damage restoration. We will remove any standing water. Dehumidifiers will be installed in the basement to dry it out and prevent moisture from returning. We will waterproof the area to ensure no water or moisture seeps into the basement. The basement will be finished or remodeled upon request. We know how important great customer relationships are, and we do everything we can to make sure that every one of our clients are happy from beginning to end. From repairing water damage to complete basement restoration, Virginia Basement has what it takes to make sure that your home is in great condition. When you choose to work with us, you’re choosing a company that works hard to deliver the kind of customer experience that really sets your mind at ease. If you’re ready to work with a basement contractor that’s dedicated to delivering the kind of results you expect, don’t wait to get in touch with us today!